Double Diaphragm Pumps offer many benefits over most other types of reciprocating pumps. They do, however, present the drawback of pulsation. For a steady stream, the CON-TROL-CURE® SURGE SUPPRESSORS act as a shock absorber to cushion the effects of pulsating flow. Basically constructed as closed chambers, each model contains an elastomer bladder inside. 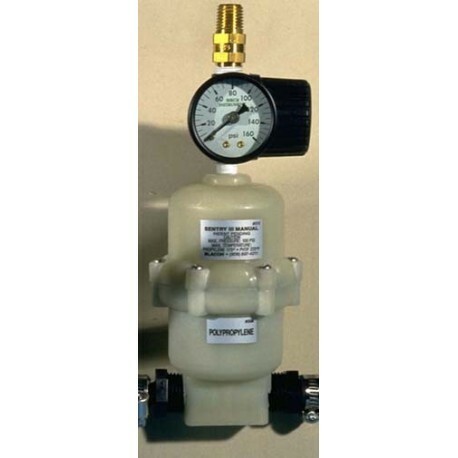 The bladder separates a compressed air cushion on the top from the pumped liquid on the bottom. To control surges from delivery discharges, the Surge Suppressor should be installed at the pump's discharge connection. The closer to the pump discharge, the better the dampening effect. 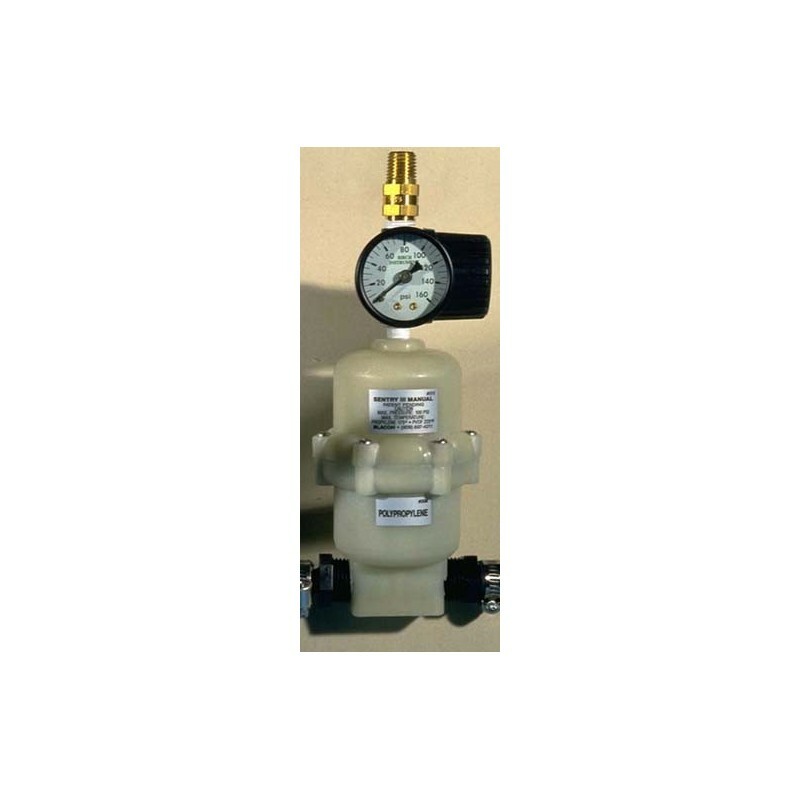 2 models available: for 1/2" or 1/4" flexible air hoses.